One month from now is National Cheese Lovers Day. 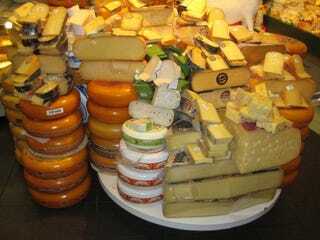 That’s right, the day in which we celebrate another important birth, the birth of cheeses. The Swiss may even consider it a holey day. Remember to mark it on your calendar and gift the ones you love with a wheel or wedge, much like John Legend has for Chrissy Teigen this Christmas.